The caste of this janeu-wearing, weapon-wielding Vanar is not easy to decode. But Yogi Adityanath seems to have made an epic fail. While Adityanath has been served a legal notice for his comment, his claims have set off a debate. Aside from the necessity of escalating from Rahul Gandhi’s gotra to now gods’ caste, the accuracy of the CM’s statement, too, is very much questionable. The most obvious counter to the CM’s claims is that Hanuman was a divine being, and hence, human caste distinctions don’t apply to him. But matters are not that simple — there are far too many legends behind Hanuman’s birth. Also, he did indeed belong to the Vanar (monkey) race, who were forest dwellers, as Yogi ji said. But that seems to be the only accurate part of his statement. Hanuman was definitely not deprived — his father Kesari was a brave Vanar chieftain. His 'caste', however, can be the subject of a longer debate. There are three ways of determining caste — birth, upbringing and conduct. Thus, Karna, a Khastriya prince, was brought up by a horse rearer, and lived out the identity of a shudra. Ravan, the son of a Brahmin sage and a very learned man, due to his conduct, is counted among asuras. Hanuman’s 'caste' is more difficult to determine. The world of mythological legends and fables can be a murky one. But let’s start with the most popular text available on Hanuman — the Hanuman Chalisa. (There is a flag and a bajra — weapon — in your hand, the sacred thread on your shoulder). (The avatar of Shiva, the son of Kesari, your bravery and divine strength is worshipped by the world). (You are the messenger of Ram, possessor of unequalled strength. Your names are Anjani-putra — son of Anjani — and Pavan-Sut — son of Pavan). Thus, about Hanuman’s birth, we learn that he is the avatar of Shiva, the son of Kesari, the son of Anjani, and the son of Pavan, the god of wind. None of this adds up to the canonical idea of the birth identity of a Dalit. There are many stories about Hanuman’s parents. Anjana, his mother, was a Vanara woman. But according to legends, she was an Apsara who was cursed to be born as a monkey. In one story, it is God Indra who curses her for resisting his sexual advances. In another, it’s a sage whose meditation she disturbed. But in both stories, it is later commuted — if, through her prayers and devotion, she could convince Lord Shiva to be born as her son, she would be free of the curse. Anjana later marries Kesari, who, apart from being brave, was also a pious Vanar. He would roam from garden to garden meditating, and help the rishis living around those gardens. According to one story, a settlement of rishis were being terrorised by a demon, Sambhasna, and Kesari killed him. The grateful rishis blessed him with a powerful son. In another version of the story, Anjana and Kesari fight the demon together, and get married after that. After marriage, the couple prays to Shiva. Happy, he grants them the boon of a powerful and virtuous son. In some stories, this son is the 11th Rudra, one of Shiva’s forms. In others, it is Varun, or Vayu, who carries Shiva’s seed to Anjana — hence, the name Pavan Putra. There’s another legend too. While Anjana was praying for a son, Dashrath, the King of Ayodhya, was conducting the Putrakamesthi yajna for heirs. Agni, the god for fire, ultimately emerged from the havan kunda and gave some blessed kheer for Dashrath’s three queens to eat. Sumitra’s portion was taken away by a bird (another cursed apsara, Suvarchala). Vayu delivered this portion to Anjana, and Hanuman was born. As for Sumitra, Kaushalya and Kaikeyi shared their portions with her, and hence, she gave birth to two sons — Laxman and Shatrughan. Hanuman, the blessed, divine baby, was born wearing earrings and a loincloth, and thanks to his unusual powers, he had an illustrious childhood. So whatever Yogi Adityanath might say, Hanuman was not deprived. Now let's move on to other markers of caste. 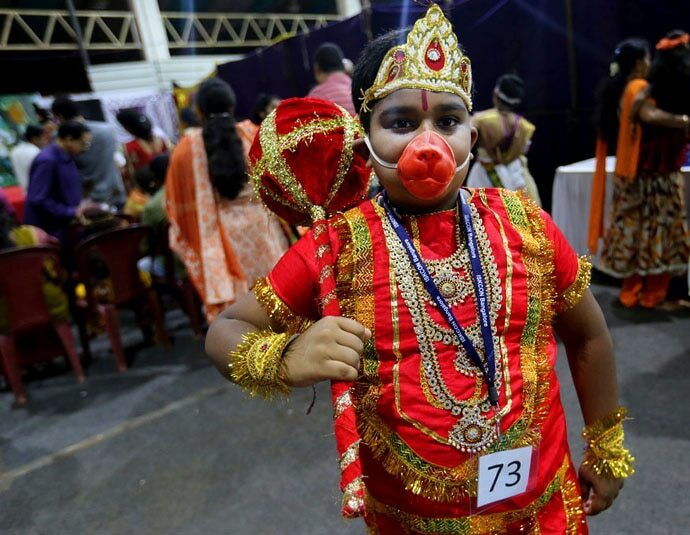 In later versions of the Ramayana, by when the caste system had become more entrenched, the baby Hanuman is said to have been born with earrings, loincloth, and janeu — the sacred thread. But the more interesting reference is that of the Hanuman Chalisa — the bajra, the flag and the janeu. The weapon in the hand is the canonical marker of a Kshatriya. The sacred thread is the traditional religious mark of a Brahmin. The Ramayana also mentions that Hanuman spoke to Ravana in chaste Sanskrit, much to his confusion. Sanskrit was the language of the Gods and the Brahmins. The flag, however, could be one reference to being in another's service. The bearer of the King’s standard could be a person of a lower caste. 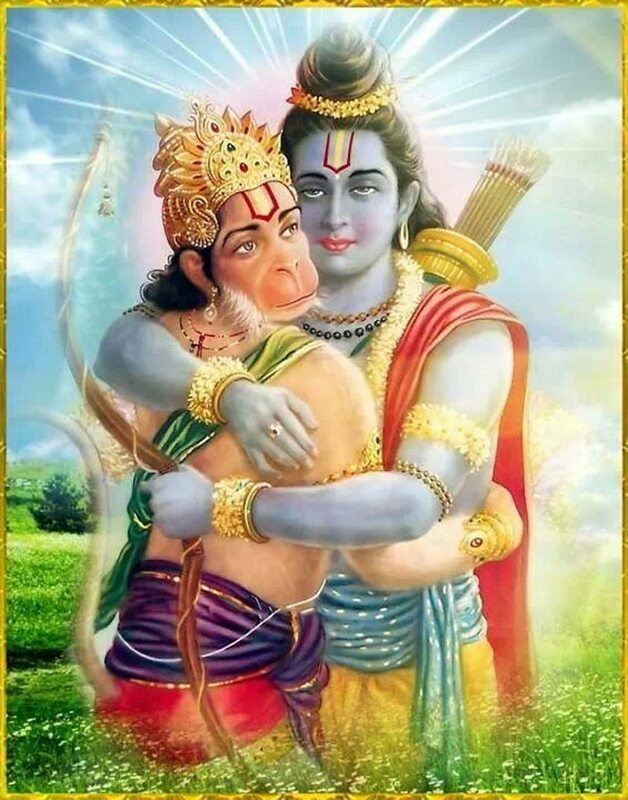 But Hanuman was so devoted to Ram that he refers to himself as Ram’s servant quite often, and thus any connotations of being in service as such might not be literal. Also, these confusing references seem to suggest that Hanuman transcends caste boundaries — he was more learned than a Brahmin, braver than a Kshatriya, but served his life in the service of his beloved Lord. Did Yogi Adityanath base his comment on the “hath bajra o dhwaja” bit? We do not know. 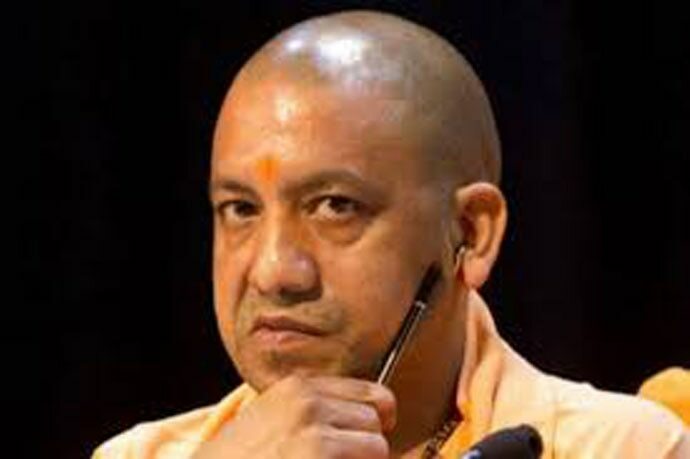 The narrative of the Vanars actually being a tribal race whom the Aryans, represented by Lord Ram, apparently dominated for their own gains usually comes from quarters Adityanath and his ilk call “anti-Hindu”. Was the CM joining hands with these forces? We do not know. What we do know is that Adityanath is trying to woo Dalits — but doesn’t seem to know how. Thus, there was the ‘renaming’ of Ambedkar to “Dr Bhimrao Ramji Aambedkar”. There was the very patronising pragramme of eating at Dalit homes, and distributing soaps and shampoos to the residents before the CM’s visit. Now comes this epic fail using the name and 'caste' of Hanuman. Yogiji needs to come up with better ways to appeal to Dalits. May Lord Ram help him.